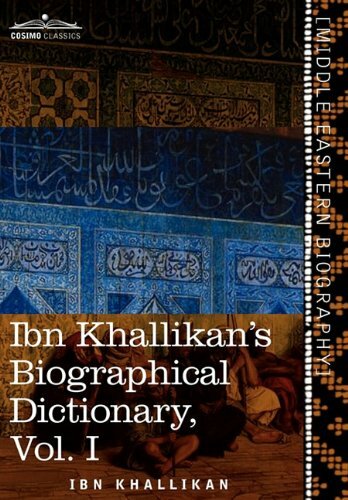 Ibn Khallikan's Biographical Dictionary, or Deaths of Eminent Men and History of the Sons of the Epoch, was the noted Arabic scholar Ibn Khallikan's most well-known and respected work. The author worked on the tome from 1256 to 1274, compiling names, genealogies, and histories of prominent or conspicuous men in the Islamic world. The final work was translated into English by William Mac Guckin de Slane and is longer than 2,700 pages. It has been quoted by many Arabic rhetoricians and grammarians in other works, as it is considered one of the most important records of Arabic history ever written. Here, separated into four volumes, the Biographical Dictionary is an essential work for any student of Muslim culture and literature.